RUAG Space has signed a cooperation agreement with Italian space company SITAEL at IAC, which is underway in Bremen, Germany, to provide Payload Electronics for testing purposes that will fly on the first STRIVING smallsat being launched on Vega SSMS POC flight in 2019. STRIVING is a one-stop-shop commercial service offering access to space for testing, validating and/or operating technologies and solutions to private and public entities. By committing to this mission, RUAG Space strongly positions itself again as a supplier to the NewSpace market. 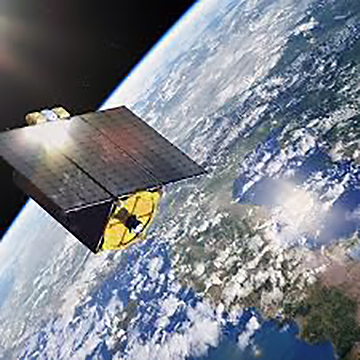 For SITAEL, this is an important step and reveals growth in the field of space services in general and smallsat based services in particular. Artistic rendition of SITAEL's STRIVING smallsat. STRIVING is a partnership between the European Space Agency (ESA) and SITAEL, under the Pioneer Program, which helps companies to provide on orbit demonstration and validation for third parties. Pioneer falls under the ESA’s ARTES program (Advanced Research in Telecommunications Systems). The RUAG Space Electronics products on STRIVING cover essential products used for satellites, such as navigation receivers and on-board computers. They are based on Commercial-Off-The-Shelf (COTS) components and will achieve crucial flight heritage on this launch. Applying standard components that are being qualified for space is relatively new for the industry, and RUAG is advancing this transition actively. As opposed to individual components that are tailor made for space, COTS allow for higher performance, faster delivery, higher volumes — at significantly lower cost. Photo of GPS receiver variant, courtesy of RUAG Space. The RUAG Space sites in Sweden, Finland and Austria all contribute on the SITAEL-contract, offering further proof of the performance and reliability in space of RUAG´s new products — a COTS Single Board Computer (cSBC), and the required mechanics, interfaces and power boards. They are all based upon commercial technology, which is specifically adapted for space use. The COTS Single Board Computer (cSBC) includes a GPS receiver which can be used to perform Radio Occultation measurements. Radio Occultation is one of the top 3-4 inputs to the weather models used for climate research and predicting the weather. The Striving Radio Occultation payload is one step to developing a low cost medium performance Radio Occultation instrument. Peter Guggenbach, the CEO of RUAG Space, said that as a supplier, the company sees the role as the ones driving process advancements, in order to bring cost down for customers. This has an impact on the entire value chain. The flight heritage on Striving will prove the capabilities of RUAG's newest products up on orbit — making them ready for commercial applications. Mr. Zaccheo, the CEO of SITAEL, added that in the space economy era, it is essential for space innovators to have the possibility of quickly improving their product maturity and STRIVING provides a reliable and cost effective end-to-end service to drastically reduce the time-to-market of such new technologies. Having a company such as RUAG on board is an additional proof that this will be a revolution in the firm's business.